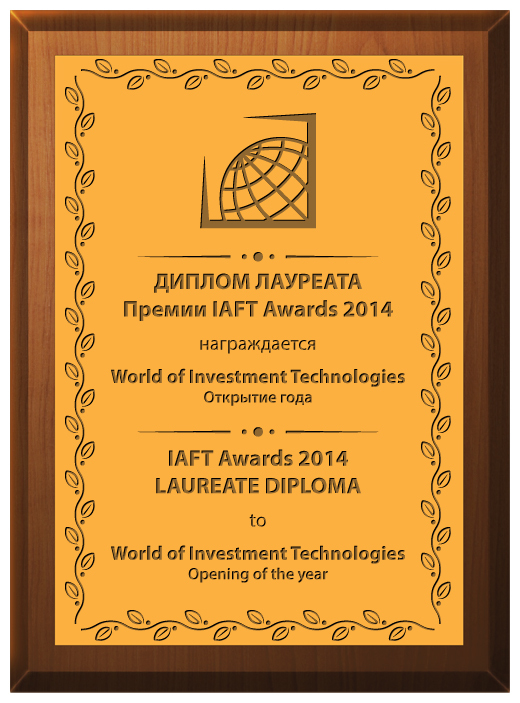 World of Investment Technologies is an innovative company on technical maintenance of investment decisions and the provision of brokerage services worldwide. The company was founded by a group of experienced traders. Through the creation of the company, the cooperation with the world leaders in the provision of brokerage and banking services was taken as the basis. The main partners of WIT Company are Boston Technologies, CitiBank, Deutsche Bank, Nomura, CurreneX, Hermes. The main objective of WIT Company is to provide customers with the most comfortable conditions and give the opportunity to earn in the foreign exchange and stock markets in the world, ensuring customers with the highest level of service, corresponding world standards in the financial markets. The main advantages of the company are - instant order execution, a variety of trading tools, minimum commissions and spreads. WIT Company regularly conducts various stocks, free competitions with the chance to win real cash and material prizes. You earn - we assist You! WIT – We bring independence!